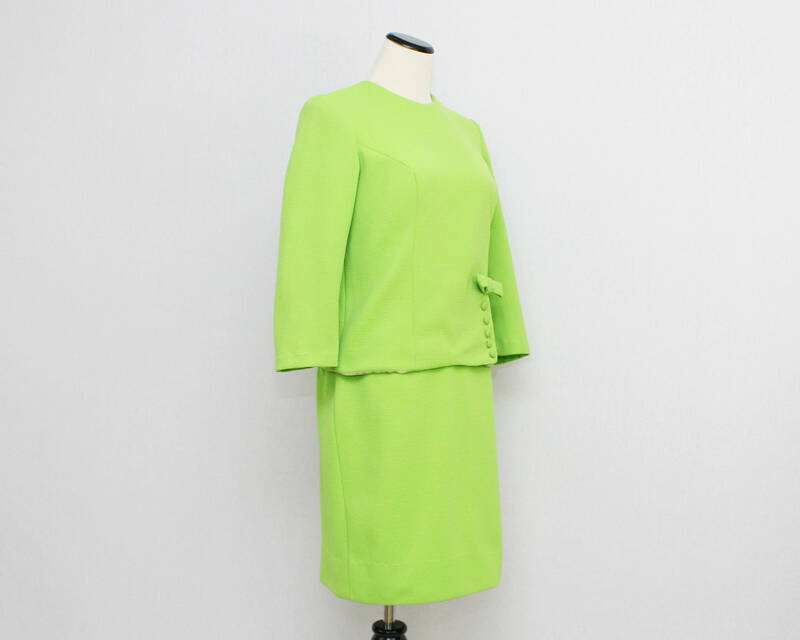 A fantastic lime green 60s skirt suit set by Pattini. The top zips at the back, has 3/4 sleeves, and features the sweetest button and bow detailing. The pencil skirt zips and buttons at the side. 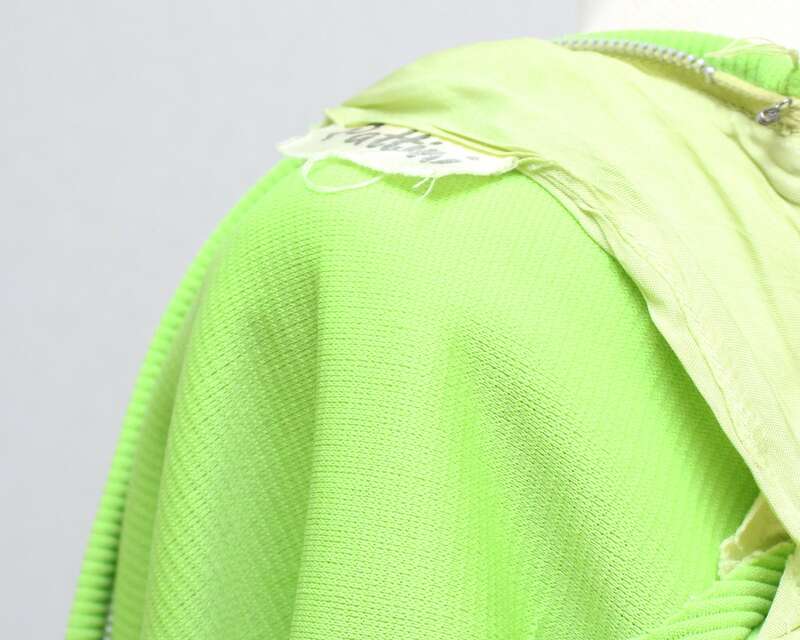 The fabric has a ribbed texture and neither pieces are lined. Some very small pulls or pilling in the fabric but otherwise excellent.